My AM today was busy but FUN one. 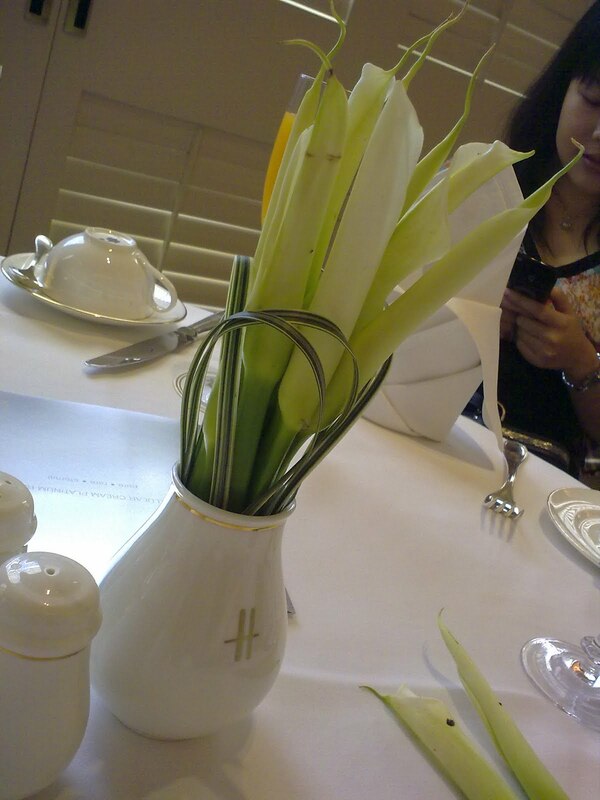 I attended La Prairie workshop at Harrods KLCC. 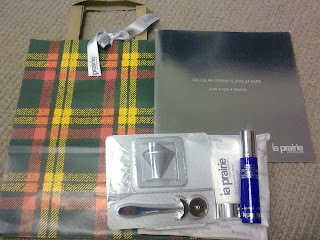 This is the first time I exploring La Prairie this high end product and I was looking forward to it. They are launching their new product – Platinum Serum which cost RM2700 for 30ml. They have launched Platinum Rare Cellular cream last year which cost RM2700 for 30ml and RM4100 for 50ml, and this Serum is to compliments the cream. According to the pretty product manager(forgot her name :P), pure platinum inspires perfect balance to improve hydration, protection and receptivity to nutrients. It transforming the skin to a remarkably ageless state. Wow, that sounds wonderful! We had the opportunity to try the products on our hand. After one application, it is noticeable that our skin is brighter and fairer. 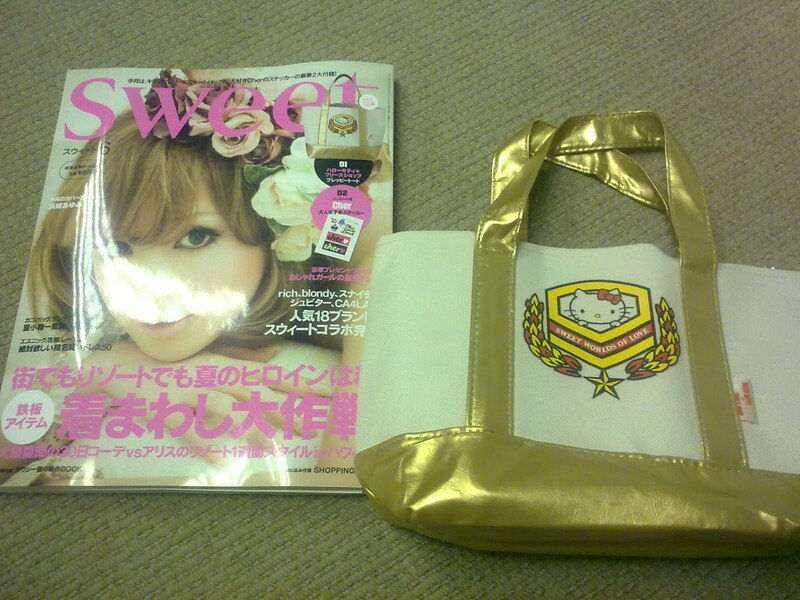 I really like the product but it’s too expensive hohoho…. 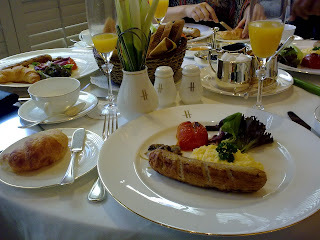 After the demo, we had a light brunch at Harrods. 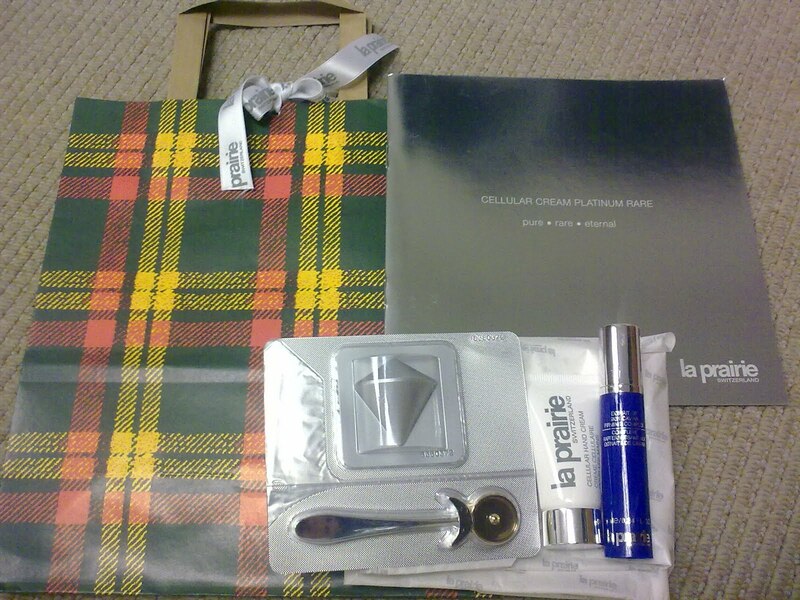 Courtesy by La Prairie of course! Below is the goodie bag and Happily meeting another blogger - Susan at the workshop. Then I went to AsterSpring. AsterSpring flagship store at 4th Floor KLCC is huge and bright. 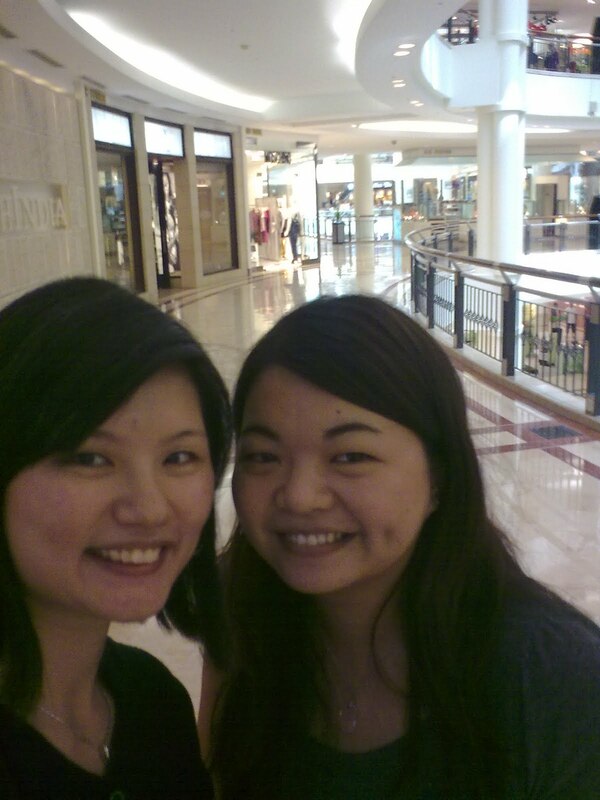 I was served by a customer service personnel – Nicole and ended up spent RM 136 for a facial and body treatment. RM136 sounds very cheap right? It is because I redeemed and used the 2*RM125 vouchers I won from Powderuum. The service is valid for a month from now thus I will make an appointment sometime next month to enjoy me beauty retreat. 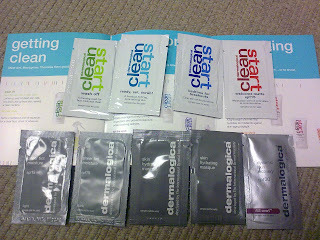 Nicole also gave me some samples to try. On the way back home, I passed by Isetan and saw this Live model doing some demonstration at the windows. She is doing demo for Clarins new launch body cream. A SA there lead me to Isetan Clarins counter and passed me a sachet to try. 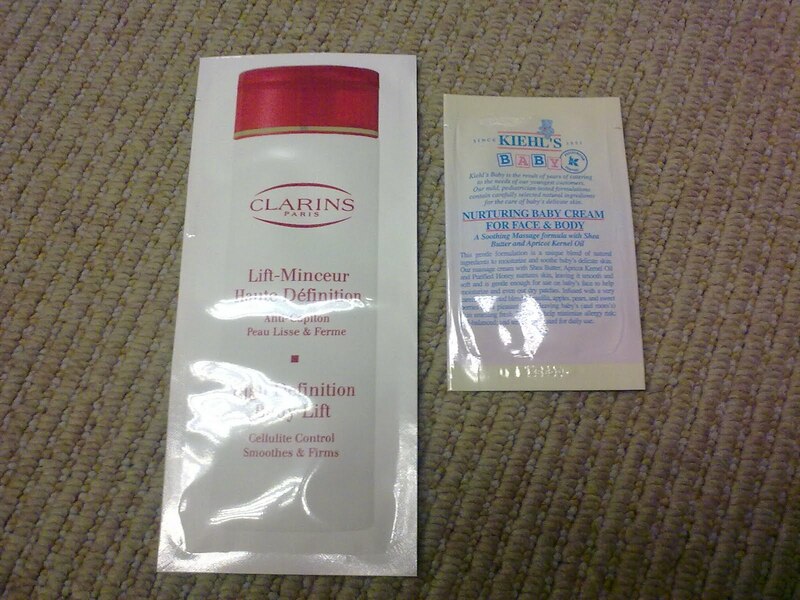 And since I was at Isetan, I walked to my favorite counter Kiehl’s to get a baby cream sample. 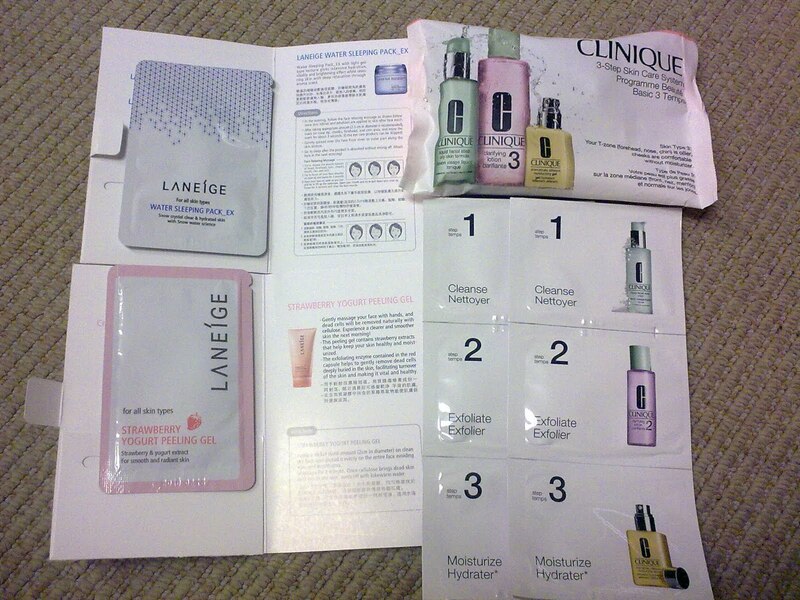 Finally I redeemed some samples from Clinique using the sms that I have received. 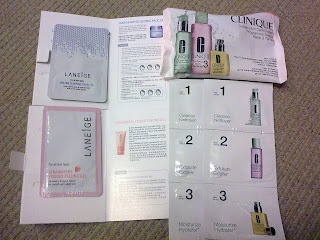 It was for Clinique turn-around but the SA resists giving me that because I am not acne skin, and ended up she gave me 3 steps samples to try. Oh, I met Wendy at Clinique Isetan counter and chit chat a bit. The girls are attending the IBE fair at KLCCCC tomorrow but I doubt I could attend. A busy morning is then passed by easily. 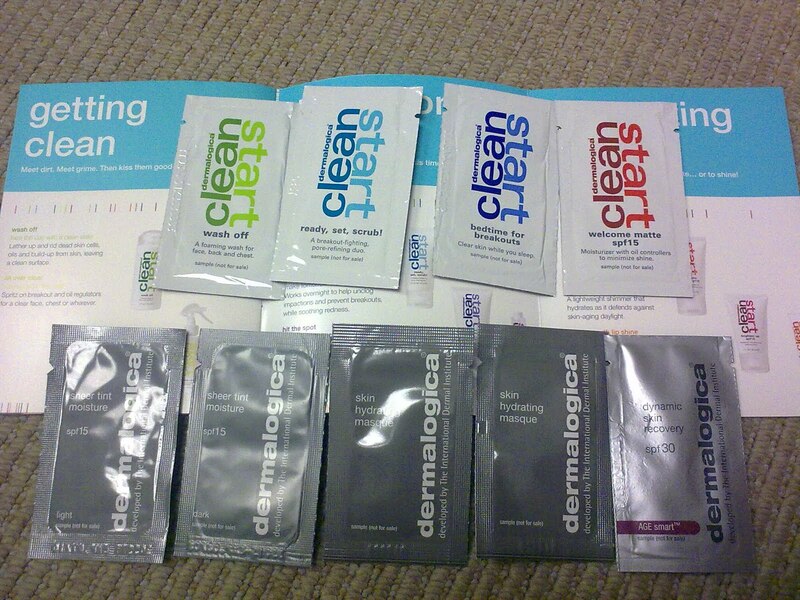 I went home with a lot of freebies and a full stomach. I saw the strawberry yogurt mask...can get sample ya?